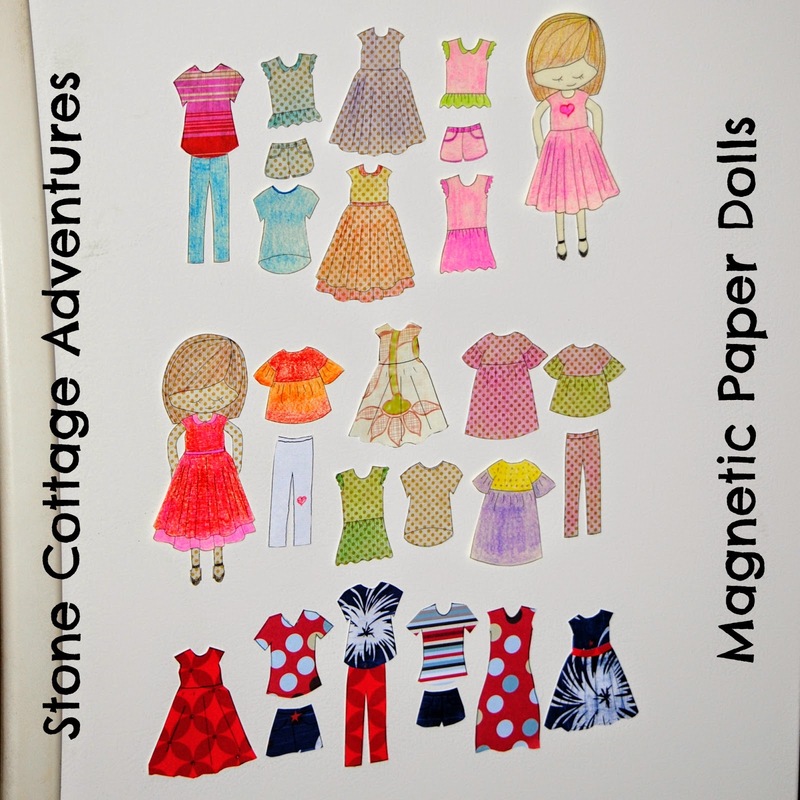 Who loves paper dolls? ME! 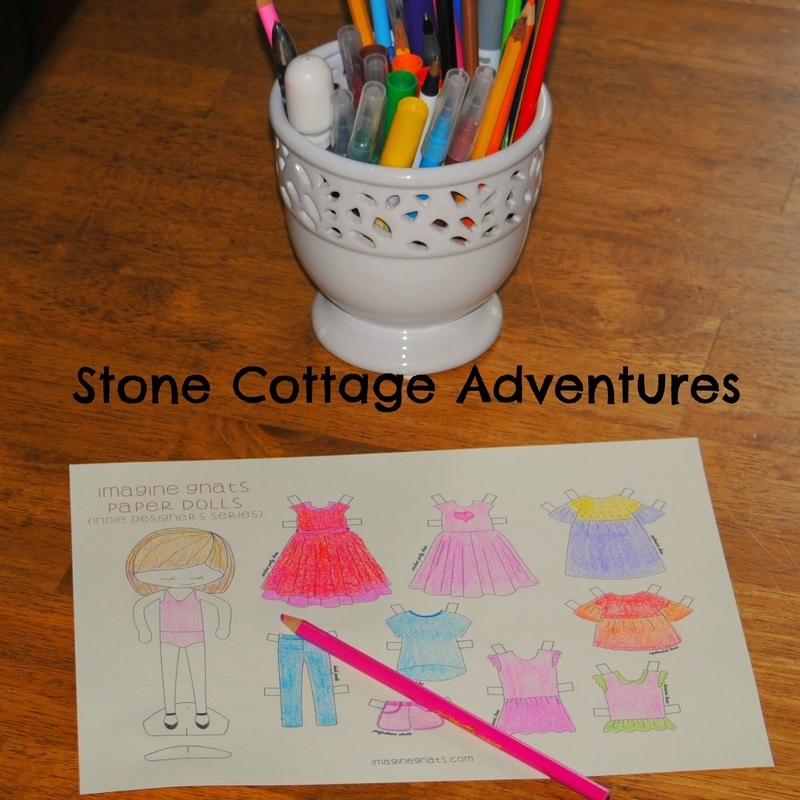 I guess there will always be a 5 year old living inside my heart that loves to color and play! 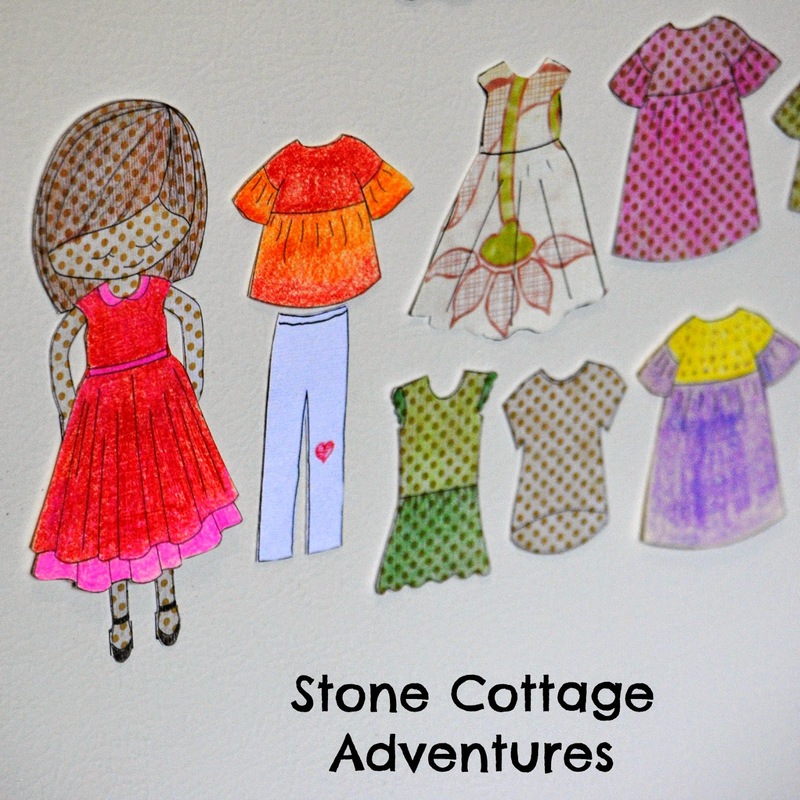 These paper dolls were actually created for the little girls in my life, but honestly, I play with them more than they do! 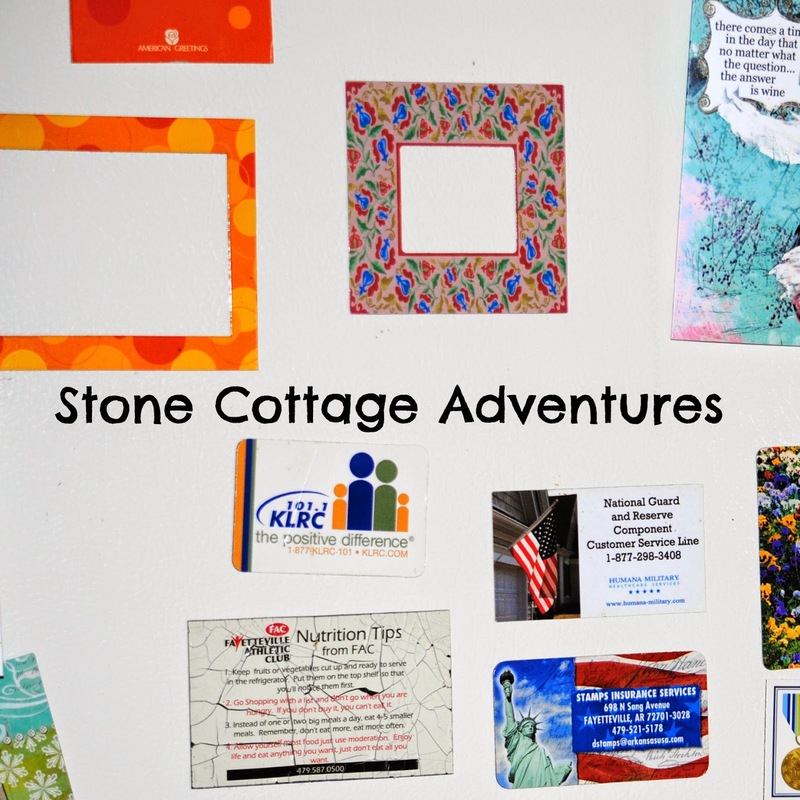 Sending a huge "THANK YOU" to Rachel at Imagine Gnats where this idea began! 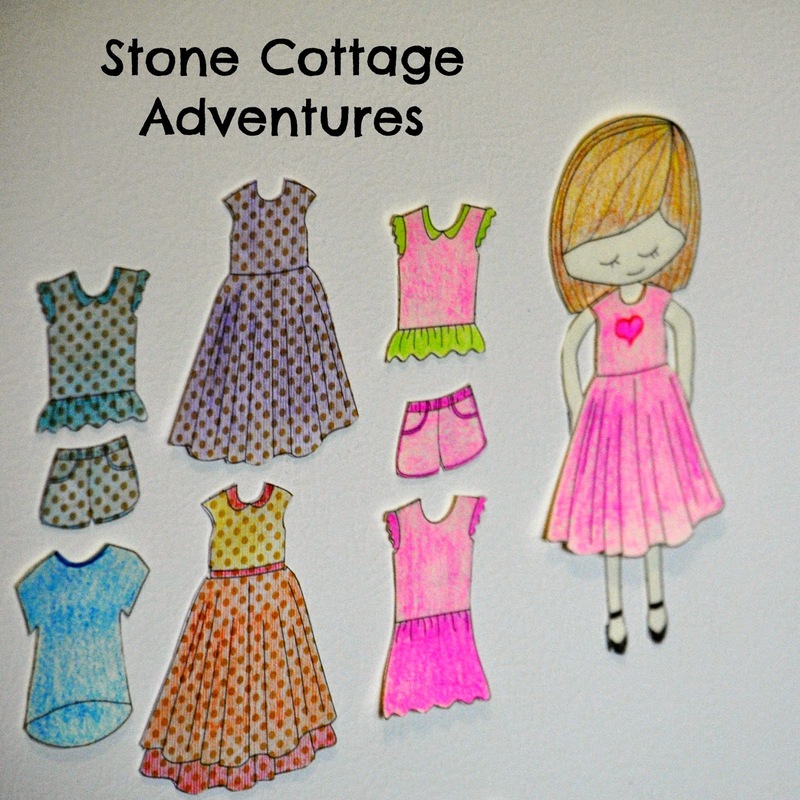 When I was a little girl, I had paper dolls, but they always ended up getting torn, creased and lost. These are so darling, I wanted to protect them. Where would my dolls be safe but accessible? Maybe the refrigerator? Just as I was finishing this project, you won't believe what happened! 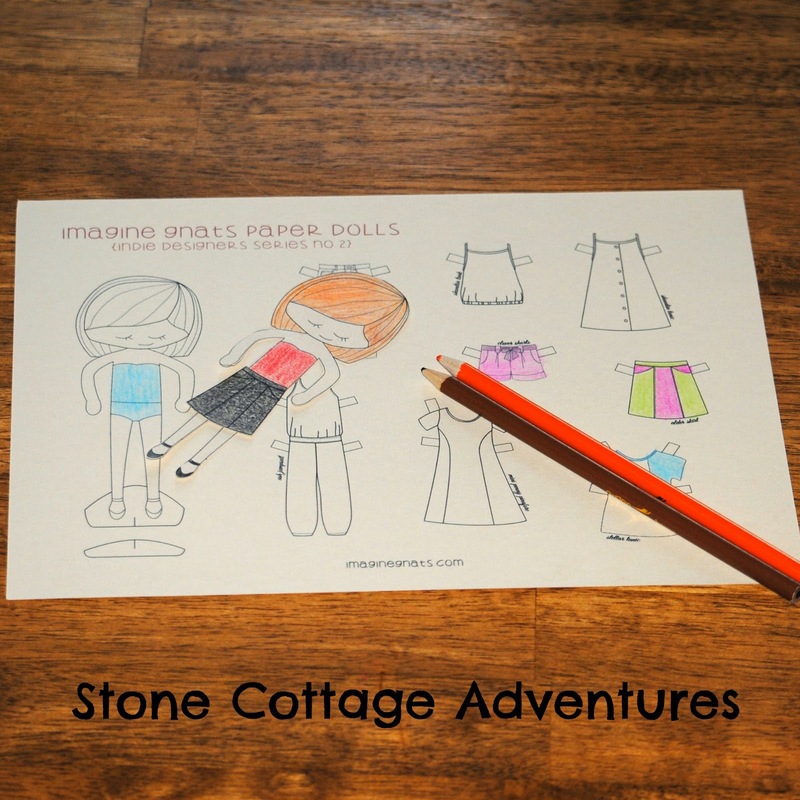 Rachel posted more FREE Printable Paper Dolls! WOO HOO! I need a bigger refrigerator! Edit: Here is proof that I share! ;-) Lil Fashionista likes to dress the polka dot doll first. Oh I love these Marci! I need to make some super hero ones for Jacob!! Very clever! ohhhhh I want some!! For the grandkids of course! I think for safe keeping they should stay at my house but totally making them just for the kids. Really. OK I might help dress them and stuff. haha :) Thanks for sharing this Marci, off to make my own!! Im laughing at the comments, I think your right there is a bit of little girl in us all!!! This is a genius idea!! 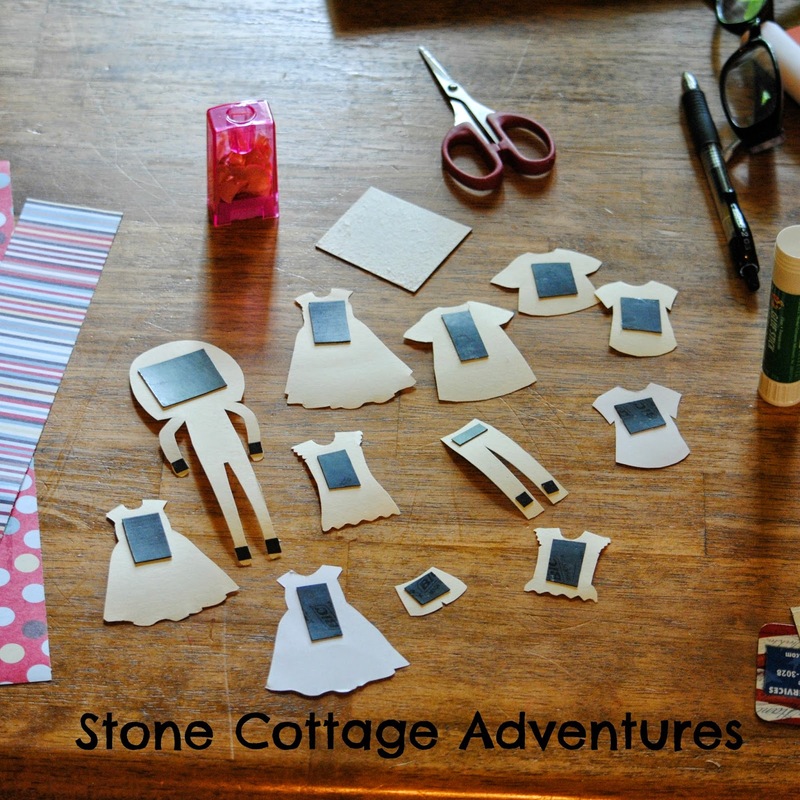 I will have to do this with my nieces - so cool! Thank you so much for linking this wonderful post up to my Themed Blog & Shop Hop! I love this idea. My daughter would have a blast with it, and if I am being honest, my son would too! 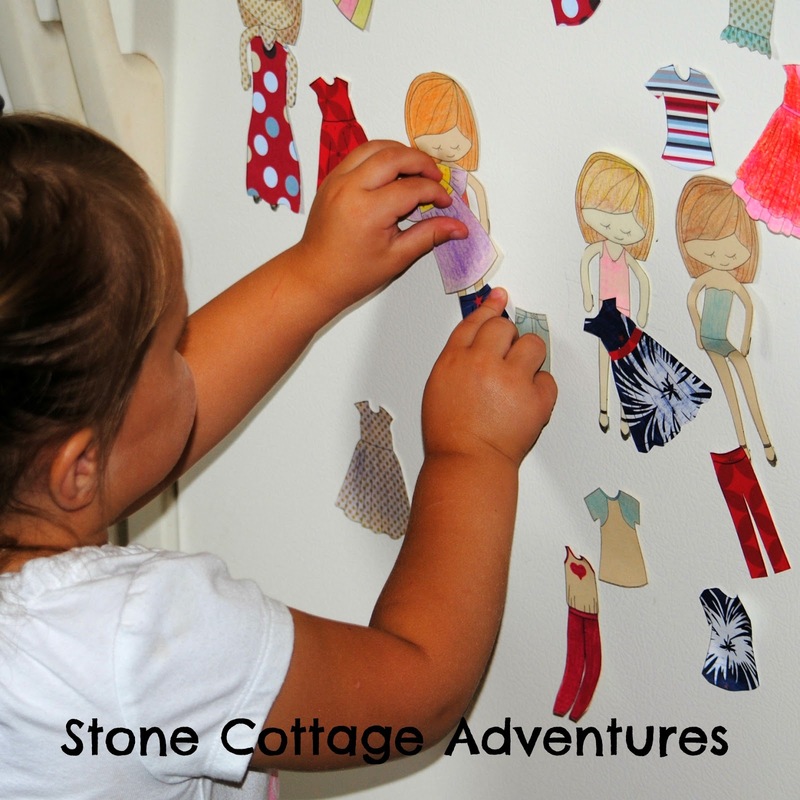 What an adorable idea :) My daughter would love this maybe with a chalk board. This fun post is being featured on my blog tonight - this post received the most "clicks" from last month's Themed Blog & Shop Hop!